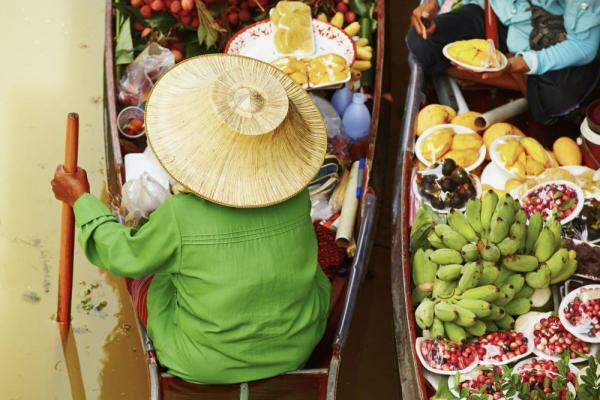 This 10 day highlights tour gives you a taste of the best that Thailand has to offer. 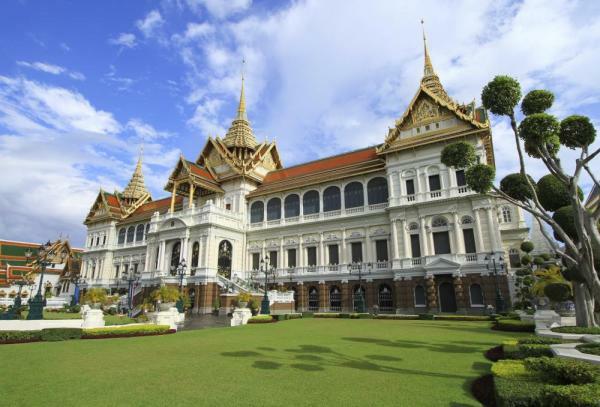 Explore Bangkok including the Grand Palace and floating markets. 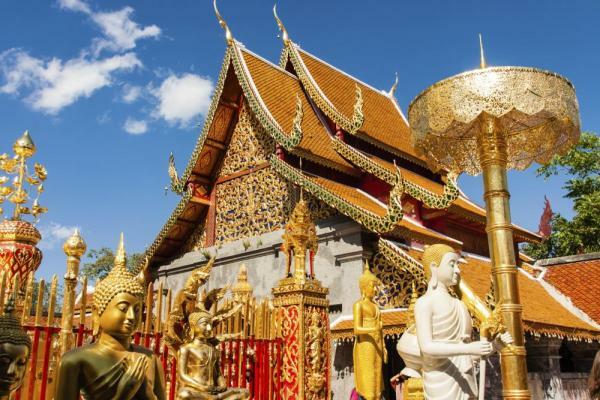 Experience Chiang Mai and northern Thai culture, connect with elephants, and spend time on the beaches of Phuket for some relaxation time at the end of the trip. 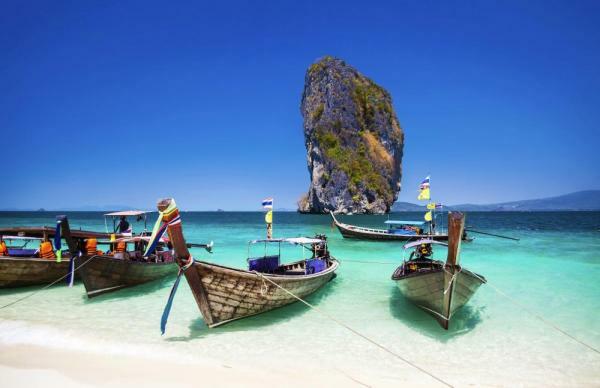 Choose this main highlights Thailand tour for a fantastic introduction to natural and cultural wonders of the country. 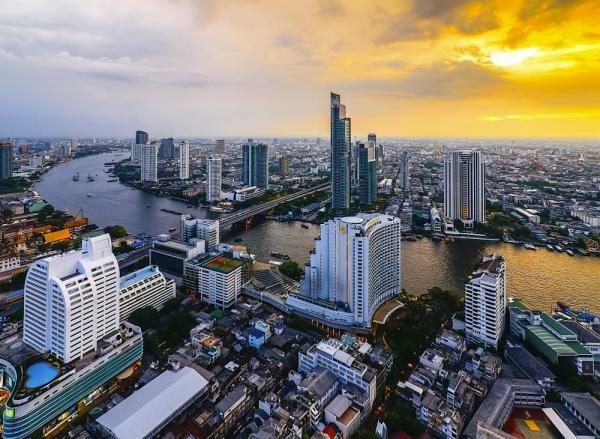 Arrive to Bangkok today where you are met by your guide and drive about 45 minutes to your hotel. Settle in and rest up from your journey. Enjoy breakfast at your hotel before an early start to arrive to Wat Pho in time to experience the monks' early morning chanting ritual at around 9. Witness this uplifting and often private experience and then set out to explore the temple grounds and the famous 45m long reclining Buddha. This temple is also reportedly the birthplace of Thai massage. Continue to the Grand Palace, Thailand's most important landmark. This was the official residence of the Kings of Siam (and later Thailand) from 1782 until 1925 and is still used for official state events. Explore the grandeur and majesty of the building and its throne halls this afternoon. You also have the chance to see the Emerald Buddha, the most revered Buddha image in all of Thailand, which according to legend was first created in 43 BC in India. This afternoon, board a private long-tail boat for a cruise on the Klong Ban Luang river. Pass by shops, local temples, and vendors lining the waterway which used to be a major trading route. 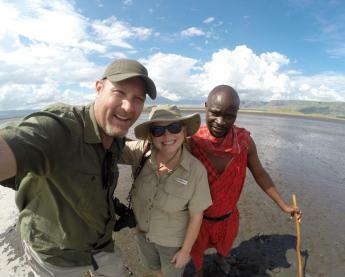 Your guide points out local landmarks and cultural traditions in the area as you observe the area. Stop at Baan Silapin, a 100 yr old renovated house turned art gallery. Enjoy a couple of hours to explore the gallery and participate in an art workshop or explore the local community. If you are lucky, students from the Joe Louis School of Puppetry will perform a puppet show as well. En route back to Bangkok, stop to visit the Temple of Dawn (Wat Arun). Enjoy breakfast before driving south of Bangkok an hour to Samut Songkhram Province. Here you get a glimpse into Thai rural life, starting with a short regional train ride to a country market. Witness the dexterity and speed of the vendors as they quickly pack their stalls right before the train approaches. All shopping comes to a brief halt as passengers unload and board, and then the vendors simply reassemble their stalls to resume business. 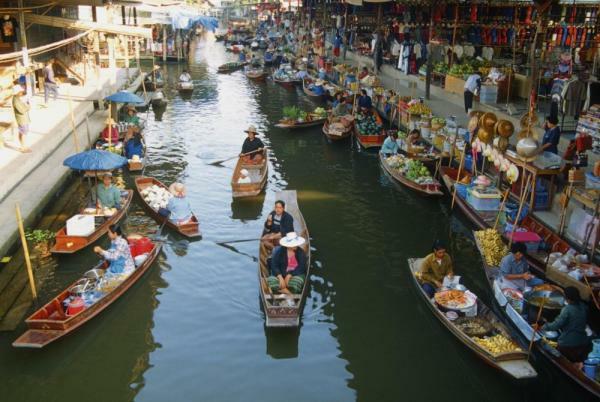 To see another unique market, visit the Damnoen Saduak Floating Market. Take a long-tail boat ride through the canals and see how the Thai people live alongside the labyrinth of canals in the region. The famous market is bustling with vendors selling fruits and other delights from their boats in the canals. Walk around the market area as you observe this fascinating occasion. Return to Bangkok this afternoon and enjoy the rest of your day free. Return to the airport today for your flight on to Chiang Mai. Upon arrival meet your new guide and check in to your hotel. This afternoon explore ancient Chiang Mai with its old city walls, gates, moats and markets. Visit Wat Suan Dok, where the ashes of Chiang Mai's royal family are buried. Visit next Wat Phra That Doi Suthep, the most sacred in Northern Thailand located on the mountain of Doi Suthep. Learn about the story of the temple and the white elephant as you walk around the impressive grounds. After a private blessing ceremony at dusk, you have the chance to witness the evening chanting of the monks and observe the night city lights from the view of Chiang Mai below. This morning take a group transfer through the agricultural countryside to the Kanta Elephant Sanctuary, located on the outskirts of Chiang Mai. The Elephant Nature Park is a a non-profit organization which provides a sanctuary and rescue center for these amazing creatures. This park is rare retirement home where these animals are no longer forced to work for humans in tourism or logging industries. Hear the personal stories of the rescued elephants as told by the park guides. Learn about the problems they face in Southeast Asia and the ways the park is helping to impact positive changes. 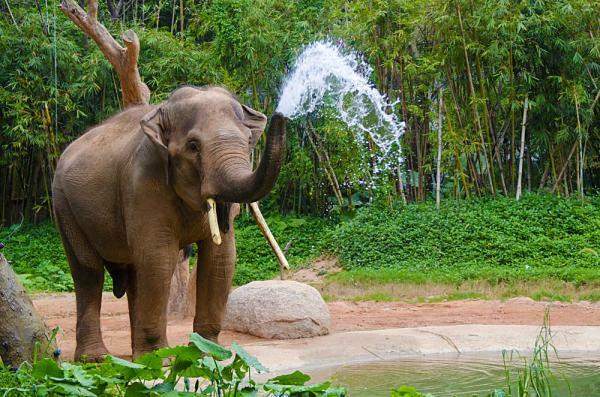 Today you get the unique chance to help feed and bathe the elephants. After unloading and distributing fruits, you will have the chance to feed the elephants from a viewing platform. A sumptuous buffet of Asian and international dishes for yourself will follow! After lunch, walk with staff to a river that surrounds the park. Enjoy a brief safety talk about how to properly bathe an elephant before plunging in to help scrub these giant creatures. 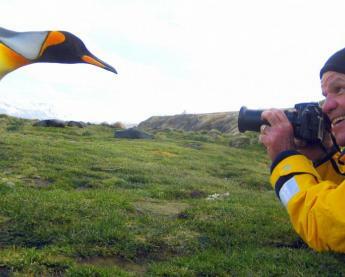 If you would prefer to stay dry, stay on the shore as you witness the spectacle. Return to Chiang Mai this evening. After breakfast set out to discover the charming old city of Chiang Mai on foot. The first stop is at Somphet Market, a daily fresh market selling fresh vegetables, spices, meat, fish and sweets. Next walk to Wat Chiang Man, the oldest temple in Chiang Mai. Walk another 10 minutes to the Three Kings Monument. Learn about the history of the three kings, believed to be the founders of Chiang Mai. Visit the nearby Lanna Folk Life Museum. This renovated white colonial style building used to be the Municipal Court of Chiang Mai but has since been renovated inside to display the beauty of the centuries old northern heritage. Continue your tour to the Chiang Mai Women's Correctional Institution. Here female prisoners are trained in Traditional Thai massage as part of the prison' skills training and rehabilitation program. 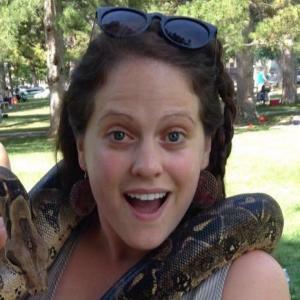 Enjoy a 30 minute foot massage and learn the story of this successful program. Continue walking to Wat Chedi Luang, which was built at the end of the 14th century. After your walking tour venture out to try one of the infamous Chiang Mai dishes, Sirichai Khao Man Gai is popular for its tasty noodle curry and is a popular choice. Enjoy the rest of the afternoon free. You may opt to take part in a Thai cooking class at Baan Thai Cookery school today, or continue to explore Chiang Mai on your own. This morning transfer to Chiang Mai airport for your flight south to Phuket, the country's largest island and a popular beach destination. Meet your driver at the airport and settle into your beach hotel this afternoon. Spend some time exploring your new surroundings. Set out today on a private long-tail boat to explore Phang Nga Bay. Dotted with limestone islands that jut out from the emerald water, Phang Nga Bay is a must-see for anyone visiting the area. 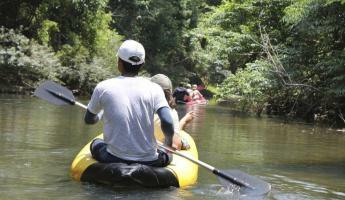 Once you reach Koh Panak and Koh Hong, get in a canoe with another traveler and a guide to actively explore. 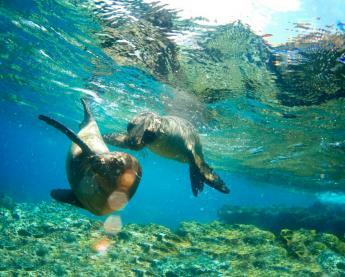 Paddle the clear waters to get closer to the limestone rocks and caves in the area. 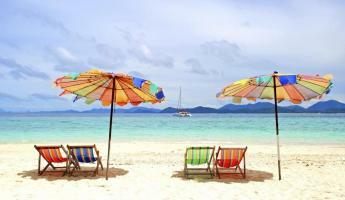 Enjoy lunch on a beach and enjoy swimming and snorkeling where you like before returning to Phuket late this afternoon. Stop by the famous James Bond Island for pictures before sailing to hidden lagoons, pristine mangrove forest, and past dramatic karst formations. Enjoy a free day on your own. Arrange for an optional activity such as snorkeling or kayaking, spend the day on the beach, or explore island attractions such as the rum distillery or take part in a cooking class. Continue on to your next destination today, or arrange to fly home via Bangkok. If you are looking to get away from the bustling and busy city, the Ariyasom Villa is the perfect place to spend your nights during your visit to Bangkok. Designed around the theme of 1940's and 1950's, the hotel is an elegant and authentic small boutique with all the modern facilities and amenities. Lahu Outpost is the perfect cultural stop during your Chiang Mai trip. A great place to trek and visit local Hill Tribe Villages. During your stay, enjoy traditional Northern Thai cuisine and accommodations. Lisu Lodge offers cultural and adventure experiences in close proximity of a hill tribe village in the Chiang Mai Province of northern Thailand. Named after the Lisu hill tribe village that is found nearby, the lodge is also part of a community-based project that aims to conserve the natural heritage of Chiang Mai's hill tribes. 137 Pillars House is a boutique hotel near the Ping River in Chiang Mai, Thailand. The original structure was built in 1889 and is well maintained. Now, it is a home-style residence that invites you to participate in the culture of the community. The scenic town of Chiang Mai, Thailand features such sites as the Somphet Produce Market, the Three Kings Monument, the Lanna Folk Life Museum, and the ancient Chiang Man & Wat Chedi Luang temples. 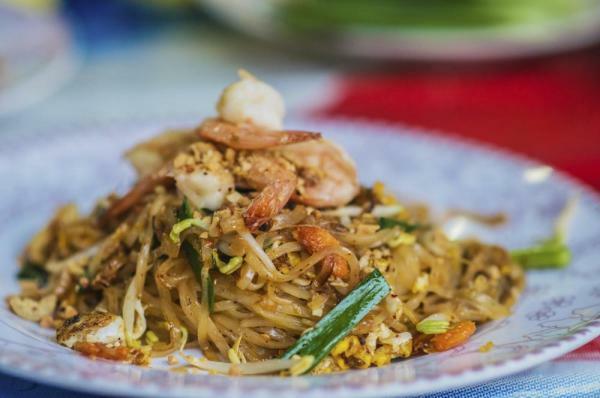 It's also a great town for foodies to sample authentic Thai cuisine! Katathani Phuket Beach Resort is a luxury hotel on the beach in Thailand. It offers a variety of activities for all ages such as swimming pools, sports, entertainment and a spa. There are 9 room options available spread throughout the two wings of the resort and a variety of bars and restaurants so you can dine, drink and relax during your stay. Final payment is due 70 days (10 weeks) prior to departure by bank transfer, check, or credit card. Final payment by credit card may be subject to surcharge and $20,000 maximum charge.